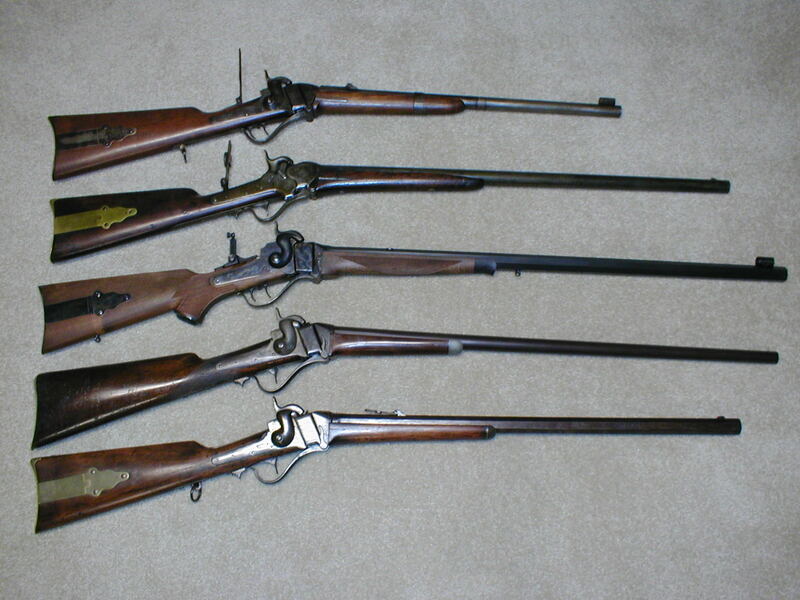 Top: Original 1863 gunsmith conversion to approx. 44 cal. round barrel percussion sporter with wiping rod. 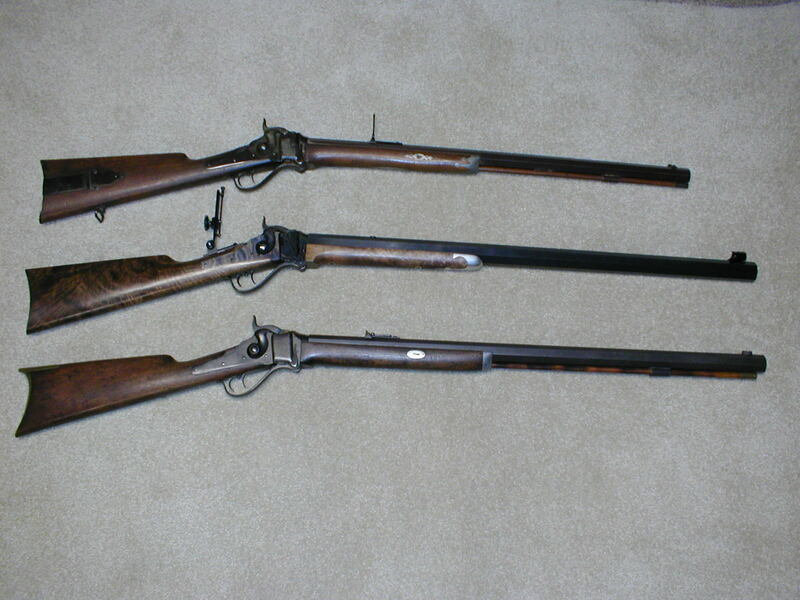 Middle: Shiloh 1863 .50 cal. percussion Hartford Sporter. 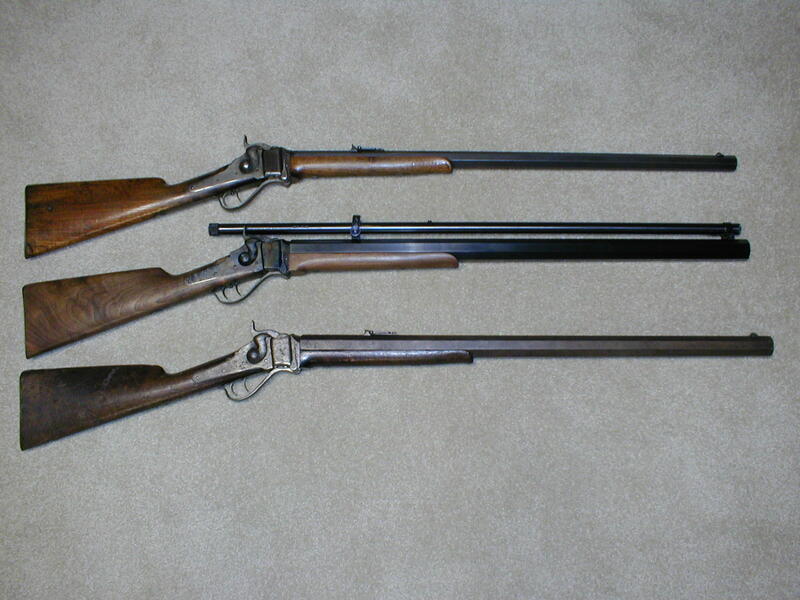 Bottom: Shiloh 1863 .38 cal percussion Saddle Rifle with custom lower tang saddle ring. 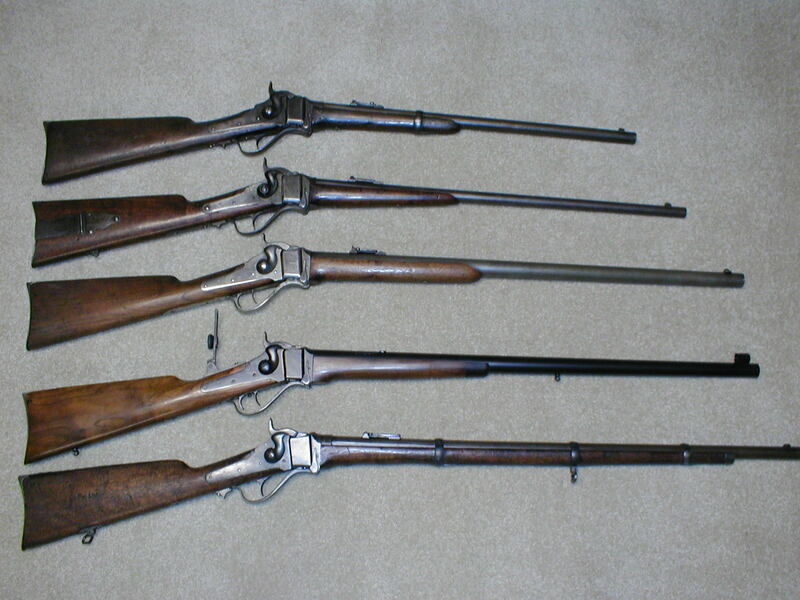 ORIGINAL SHARPS MODEL 1877 "LOWER" SPORTERS- ONLY 75 MADE (SERIAL NUMBERED D1 TO D75) AND ALL SOLD/SHIPPED TO J. P. LOWER OF DENVER, COLORADO IN 1880. 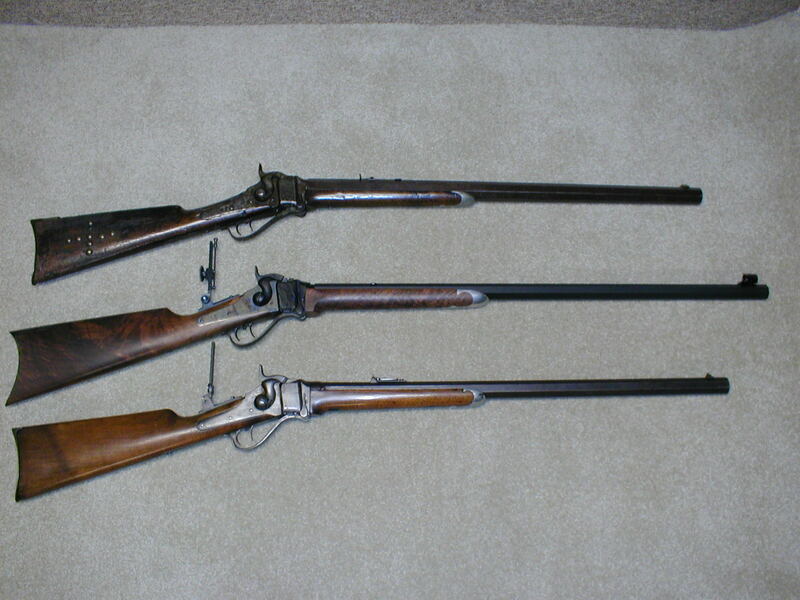 Top: 1877 .45-70, 30" octagon sporter (31 made).